Discover Pinot Noir and Gamay from the Puy de Dôme region. 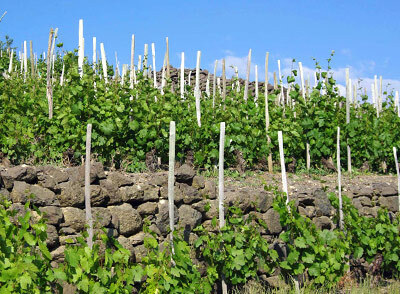 Most of our wines come from volcanic terroirs: from the foothills of the Massif Central to the slopes of Etna through the terraces of Larzac, we offer here a mineral journey, between eruptive lava and basalt gravel. Rich and altitude lands which favor a wine production of quality, very often respectful of the standards of the Organic Agriculture.